1994 Winnebago Chieftan 32RQ, 32 ft, sleeps 6, Model 32RQ, Chevy engine, Chevy chassis, Generac 5200 watt generator, owned by non-smoker, extra clean interior for the year, heated power mirrors, island queen size bed area, bedroom privacy door, dual bedroom closets/night stands, TV hookup in bedroom, skylight in shower, booth dinette, microwave convection oven, jack knife sofa sleeper, window shades, roof air, awning, hitch, driver's entry door, has manuals, Flexsteel captain chairs. 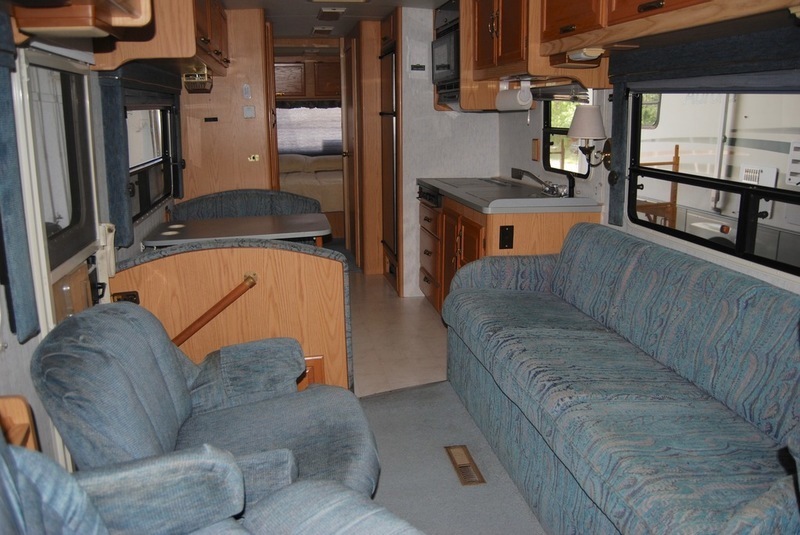 For more information call Paul, the owner of Atkins RV, directly on his cell phone toll free at (888) 811-7305. We look forward to hearing from you!